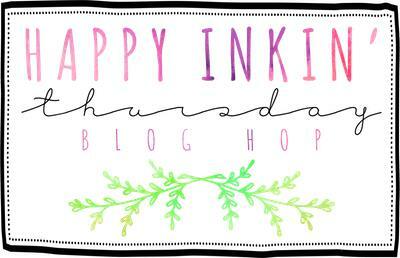 Our Stamp Ink Paper Challenge #127 this week is a theme challenge – All Wrapped Up! There’s a style for any kind of Christmas. Woodsy, Traditional, and Glam! And they’re all made exactly the same way. Let’s go! We’ll start with my favorite – the Woodsy tag. Did you doubt that would be my fave? I used the Lots of Labels Framelits to cut the large “tag” from a piece of Crumb Cake card stock. With my Old Olive Stampin’ Write Marker, I added some “stitches” around the edge. With a smaller die in the same framelits, I cut a piece of Merry Little Christmas DSP and adhered it with Liquid Glue. I punched a hole in the top of the tag with my 1/8″ Handheld Circle Punch. The sentiment – from Merry Little Labels – is heat embossed in White Stampin’ Emboss Powder on Crumb Cake and then cut with the Everyday Label Punch. Before popping it on the front of the tag with Stampin’ Dimensionals, I added a little something to the back of the tag. That sentiment – also from Merry Little Labels – is heat embossed in White. Then I used my Old Olive and Cherry Cobbler Dark Stampin’ Blends to lightly add a little color to the holly. For the embellishment on the front, I cut a couple of short boughs with the Pretty Pines Thinlits, from the same Old Olive/Black plaid Merry Little Christmas DSP that I’d used on the front and adhered them with Liquid Glue. I looped some Jute Twine thru the hole I’d punched at the top and tied it in a simple knot. Then I tied a bow and added it with a Glue Dot! Done! The other two tags were made the same way – just using slightly different ingredients! Middle layer – Old Olive design from Merry Little Christmas DSP. And finally, the glam tag! So – whether you’re a woodsy/homespun Christmas person, more traditional green and red or someone who loves the glitter and shine…Merry Little Labels and the Everyday Punch are your ticket to quick and gorgeous gift tags! Hope you like! This morning, we had some errands to run so, after our morning ablutions, we put the Man in his kennel. Upon our return, he did his usual meet-and-greet, got a quick drink and headed out to the golf cart. Later, though, he decided he’d come and see what we were up to.